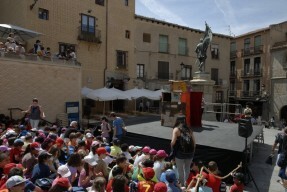 Titirimundi International Puppet Festival takes place in historic city of Segovia. Famous for its Roman Aqueduct, Segovia is one of the must-see ancient places in Spain, also designated as an UNESCO World Heritage site. 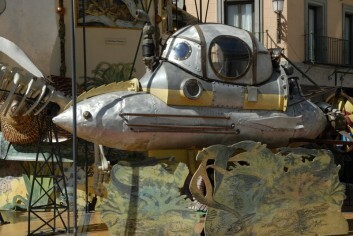 It is about an hour away from Madrid by car and a wonderful choice for a day trip from Madrid. The bus between Madrid and Segovia runs frequently. 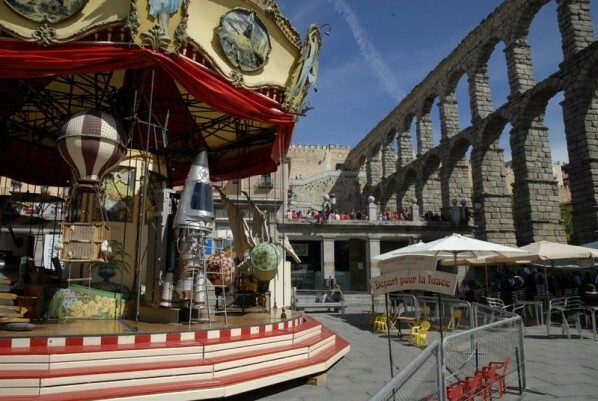 On the day I went to check out the festival in Segovia, I was surprised to see how this festival had transformed this special city into a magical place. 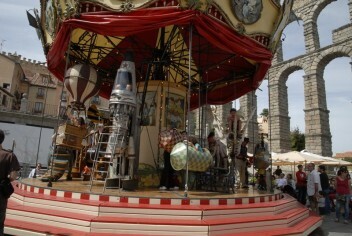 Intermingled in ancient city were special puppet exhibits, carousel, and puppet stages. 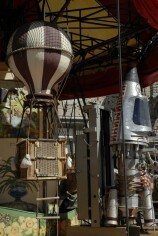 Along with several theaters in the city, temporary outdoor performance venues were set up throughout the city. 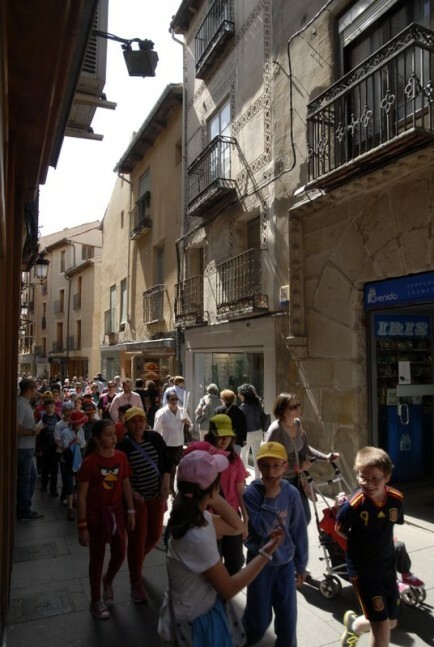 Many children came to Segovia on their school field trip to see puppet shows. 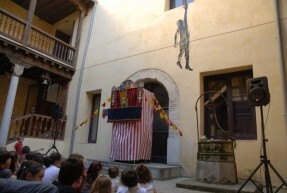 Watching their fully captivated faces during the puppet shows was absolutely delightful. 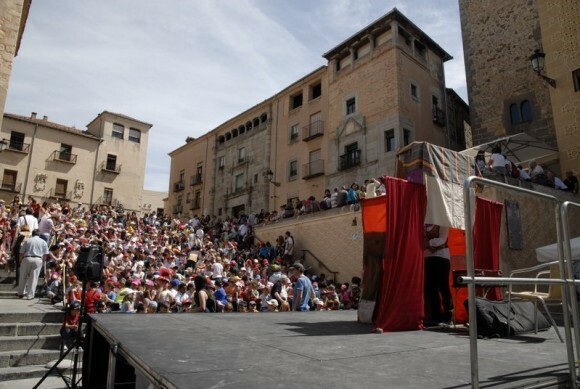 Many artists and troupes, both Spanish and international, offered different types of puppet shows-from classic Judy & Punch to table top bunraku style puppet improvisational show. 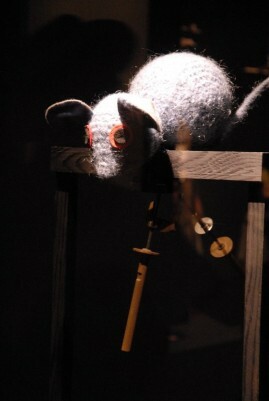 Besides the performances, there were several other programs, including Francisco Peralta’s Puppet Collection exhibit.